Barefoot Landing will host its Lighting of the Landing Ceremony, on November 21, from 6:00 p.m. until 7:00 p.m. There will be performances by local groups, live Christmas music, and a scene from the Theater of the Republic’s A Christmas Story at 6:00 p.m. Santa will make a special appearance and fireworks will begin at 7:00 p.m.
Attendees are encouraged to bring a new, unwrapped toy to benefit the Toys for Tots for Horry County. 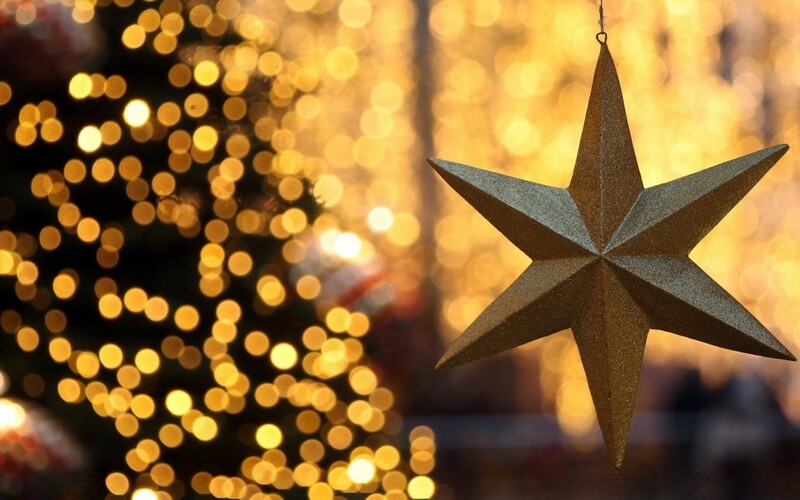 Book your room with us today and stay just minutes away from all the tree lighting fun! 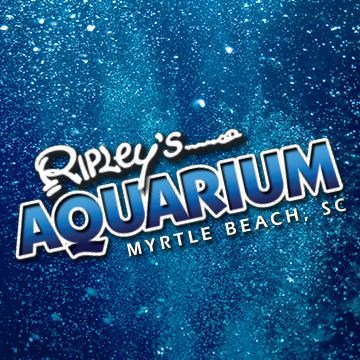 Ripley’s Aquarium will host Ripley’s Boo-quarium Bash from 1:00 p.m. until 6:00 p.m., on October 31. Put on your costumes and explore the the wonders of the sea. There will be a costume contest and parade. The cost of the event is free with paid admission. Ocean Plaza Oceanfront Hotel is just minutes away from Ripley’s Aquarium. Book your room with us today and enjoy some family friendly Halloween- themed fun. Now through October 30, the Myrtle Beach Speedway will host Nascar Racing Experience Drive By Yourself, from 9 a.m. until 12 p.m. The event allows you to drive a NASCAR race car around the Myrtle Beach Speedway, alone, for a 5 or 8 minute timed racing session. Drivers meet with Crew Chief, get training and instruction prior to getting behind the wheel. After the session is complete drivers get a graduate certificate and souvenir license. There are lots of fun things to do in Myrtle Beach and seeing the Pelicans play is one of them. The Pelicans is a Minor League Baseball Team with a stadium that seats 4,800 fans. Your group or organization can get a free behind-the-scenes tour of TicketReturn.com Field at the Pelicans Ballpark. Ticket discounts are offered to groups of 10 or more. The Viking Ocean Front Motel is listed under hotel promotions on the Myrtle Beach Pelicans website allowing you to book your room with us from there. So book your room at the Ocean Plaza Ocean Front Hotel today and come join all 3 Pelicans Mascots, Rally Shark, Deuce and Splash in cheering on the team! 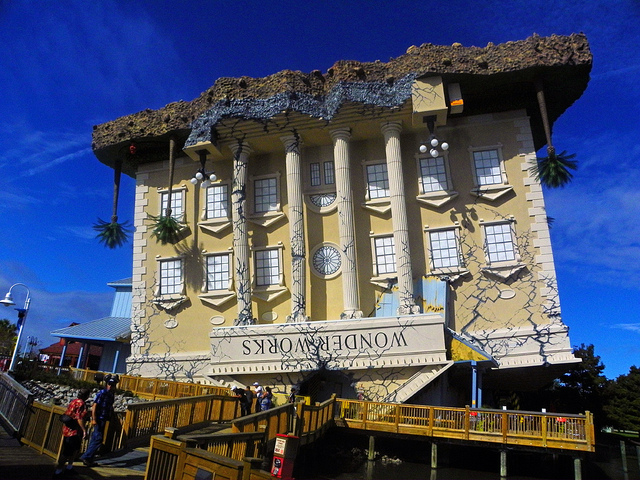 WonderWorks, located at Broadway at the Beach, is 50,000 square feet of educational fun. It is filled with over 100 hands on exhibits that the entire family can enjoy. You can enjoy climbing through Indoor Obstacles, playing Later -Tag and experience the new 6D Extreme Motion Ride XD Theater. The fun isn’t limited to just indoor activities. WonderWorks has featured outdoor adventures which include a Zipline and Ropes Course. Ocean Plaza Oceanfront Hotel is located just minutes away from Broadway at the Beach, so book your room with us today! 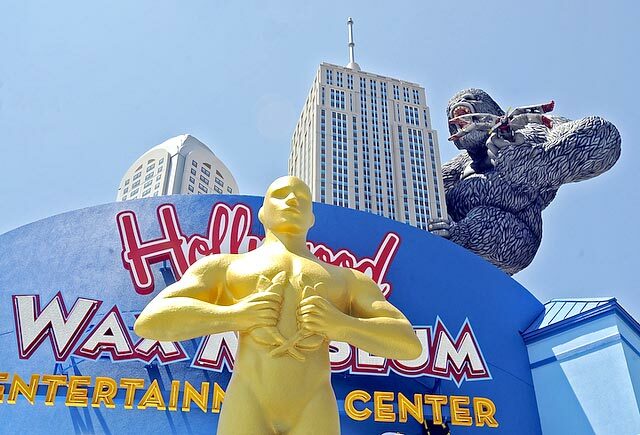 The Hollywood Wax Museum is just minutes away from the Ocean Plaza Ocean Front Motel! Located at the intersection of Highway 17 Bypass and 21st Avenue in Myrtle Beach, the Hollywood Wax Museum gives you the chance to see some of your favorite celebrities. This new two story attraction is filled with wax figures of A-List stars like Robert Downey Jr. and Julia Roberts. After getting up close and personal with your favorite celebrities you can purchase a souvenir at the Hollywood Studio Store. You can use our free Wi-Fi to purchase your tickets online at a discounted rate or buy them in person at the Box Office. Book your room with us today! There are many benefits to walking along the beach. Not only can it be romantic and relaxing, but it is great for your feet too! The soles of your feet have over 200,000 nerve endings and walking barefoot in the sand stimulates them. Taking a stroll while barefoot in the sand also helps to strengthen and stretch tendons, muscles and ligaments in your feet. Being barefoot in the sand grounds you. The Earth maintains a negative electrical charge. Walking barefoot grounds our bodies to that charge. Studies have shown that negative Ions can improve blood pressure, blood flow, increase energy and reduce inflammation along with many other positive benefits. So come get grounded with us at the Ocean Plaza Ocean Front Hotel where you will have direct access to the beach. 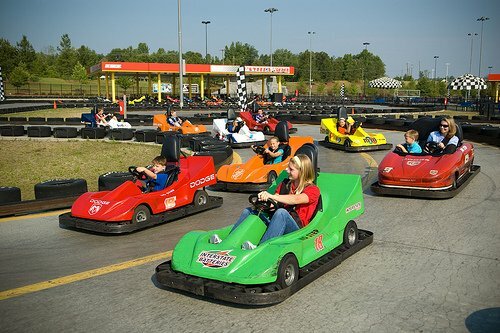 Grab the wheel for a full-throttle family fun with NASCAR SpeedParkTM’s super custom car tracks and tons of fun for the little one’s with the kid-sized rides in the Beginners Circle. Get revved up on The Qualifier or Young Champions track, then step up to the challenge of the Gatorade Family 500 and the slip-sliding Intimidator slick track! Nascar® SpeedPark™ is located at 1820 21st Ave. North. A wide, open beach, fishing pier full of anglers and stories, campgrounds in the oceanfront woods, all in the middle of it all in Myrtle Beach. 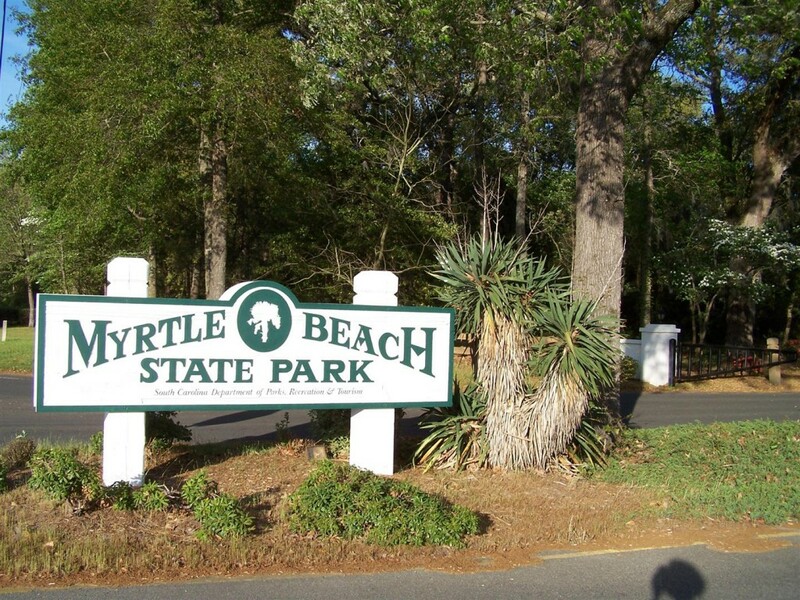 Located in the heart of the bustling Grand Strand, one of America’s most popular and diverse vacation destinations, Myrtle Beach State Park also is a natural retreat, home to one of South Carolina’s last stands of easily accessible, oceanfront maritime forest. Programming and a nature center offer visitors the chance to learn more about dolphins, sea turtles and the abundant bird and plant life that grace the leafy park. For more information, visit click here to learn more.